With rumors abound that Canada Dry doesn’t make their bitter lemon anymore, imagine my excitement to find it in a Florida grocery store (specifically a Publix in Weston, Florida). While bitter lemon is no longer as popular as it was twenty-five years ago it still has niche following. Among those who liked bitter lemon in the states, Canada Dry Bitter Lemon is the brand that they remember. For a long period of time, Canada Dry Bitter Lemon was the only mass market bitter lemon available. Relatively high in calories (140/10 oz. 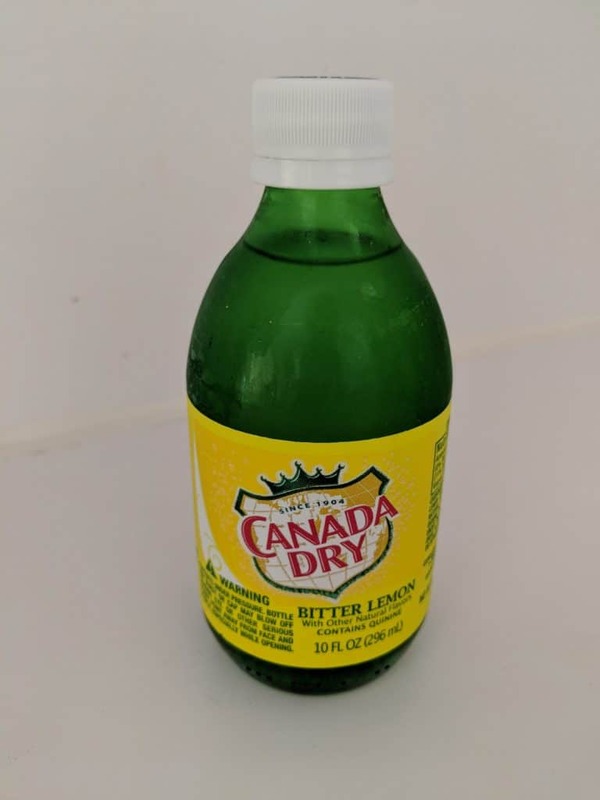 Bottle), Canada Dry Bitter Lemon is also 3% concentrated lemon juice by volume. The nose is sightly powdery and chalky, with a calcium note, along with lemon juice concentrate. Specifically the lemon reminds me of the lemon juice that comes in green bottles at the supermarket. The palate is surprisingly less sweet than expected. Nice carbonation, with fairly tight bubbles on the top of the tongue; it has a well combined lemon and quinine accord. The two notes are nicely balanced. They rise and fall in unison. Moderate length finish with a slightly metallic quinine after taste. With gin, Canada Dry Bitter Lemon is a nicely balanced drink. The carbonation works well for elevation the early palate, while the finish is clean and generally gin- forward. I’d recommend it with a good classic style gin, though the sweetness serves well to round out the palate of even inexpensive gins. While I often find tonics flavored with high fructose corn syrup to be a bit too sweet, Canada Dry Bitter Lemon uses it to it’s advantage. Nicely integrated in terms of flavor, it’s easy to see why Canada Dry Bitter Lemon became an endearing touchstone for fans of bitter lemon. Very disappointed with in the last year-and-a-half that I cannot purchase Canada Dry bitter lemon in the Reading, Philadelphia area. They say that they don’t make it any longer but this past Christmas of 2018 one store in my sister’s area carried it. My sister was able to grab quite a few bottles so we could store them. I came home to my area and my store had none. Do not like tonic or soda water. This was my longtime summer drink of vodka and bitter lemon with either lemon or lime! Very, very disappointed we can’t find in our grocery stores. I guess I’ll just change over if I want to ginger ale I’ll switch over to Schweppes!